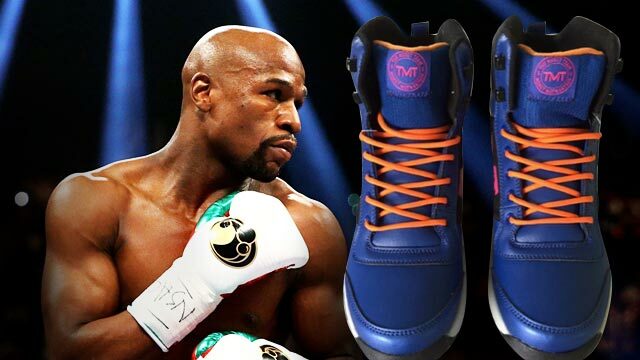 LOOK: Would You Buy These Floyd Mayweather Official Kicks? What is it with multi-millionaire boxers nowadays that they seem to want to get into almost anything? Oh, right. It's not just that these people have A LOT OF DOUGH to spare; even the brand that comes with them pursuing almost anything outside of the sport is automatic to rake in money. Like, if our own Manny Pacquiao can release albums, run for Congress (and win! ), and fulfill his dream of playing (and coaching) in the PBA, you'd be damn sure that Floyd Mayweather can do pretty much whatever he wants as well. How does opening his own sneaker line sound? While we're not too fond of the color combination, who are we to oppose Pretty Boy's taste? So what do you think of Floyd's new boot? Is it a cop or a drop? Hit us up in the comments section below!